The herd of blesbok was working through scattered trees. 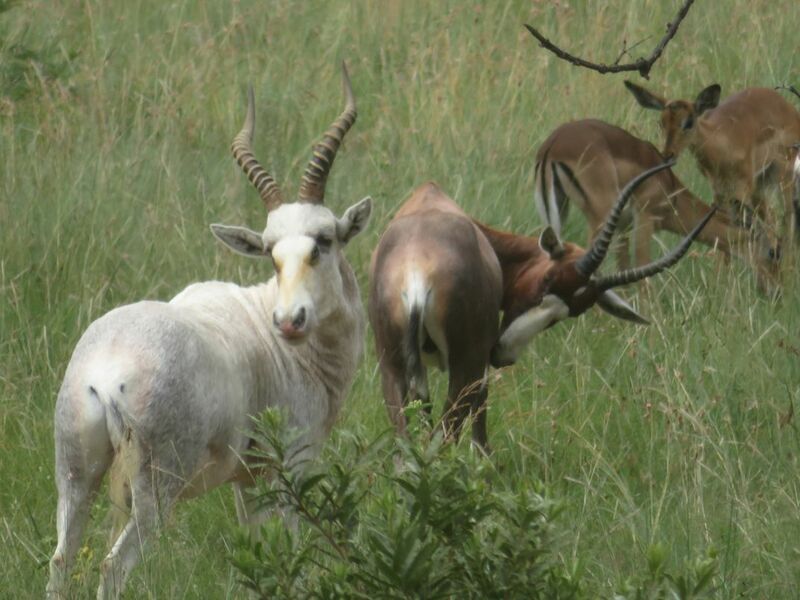 The white animal is genetically the same as the brown ones, but has a recessive color trait. The beauty of these antelopes is that the difference doesn't matter to them.